Perkele´s Blog: I am alive,in a way. I am alive,in a way. Sorry for not updating so much lately. Ive been doing this and that and ive taken photos too,so i have material to work on,to be put up here but luckily ive had a chance of being able to just kick back and enjoy the nice time with my few buddies and my girlfriend. I am about to write about certain hiking fry pan,GearPods,few sharp items and such,but as ive mentioned ive tried to avoid hoarding gear like maniac,im really happier this way. Oh,for the reader types of you,i have to praise and suggest that youll get Juha Maasola's book about axes in finnish culture,named "KIRVES", as axe, its definetely the best damn book in long long time for me. Even you who cant read Finnish,i tell you that its filled with loads of excellent photos for your wet axe dreams. Hey heres a shot from my last weekends stay. 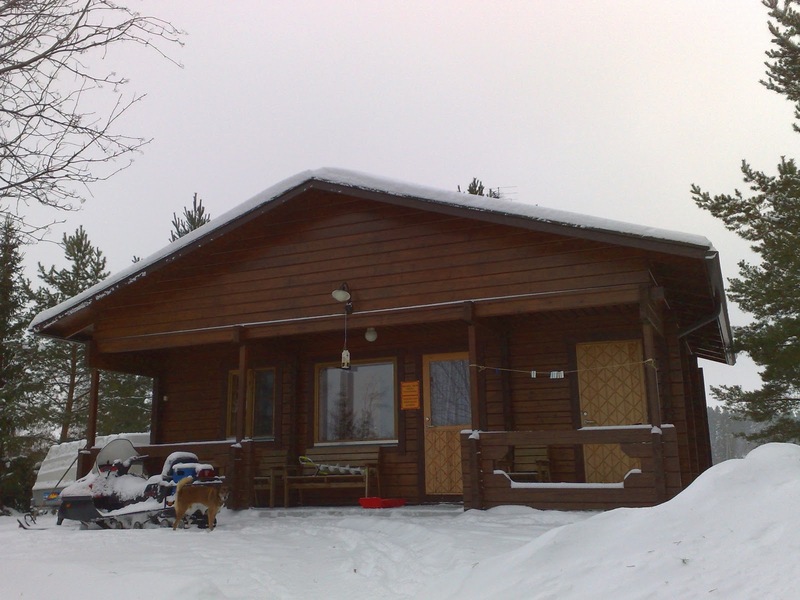 I had nice time ice fishing,bathing in sauna and eating well,having a few beers and driving the snowmobile's. It´s a great time of year, isn´t it? Thanks for sharing the axe book link a lot, I think I´ll try to get it. Want to have a go at learning some Finnish, too, so it doesn´t hurt a bit;-).